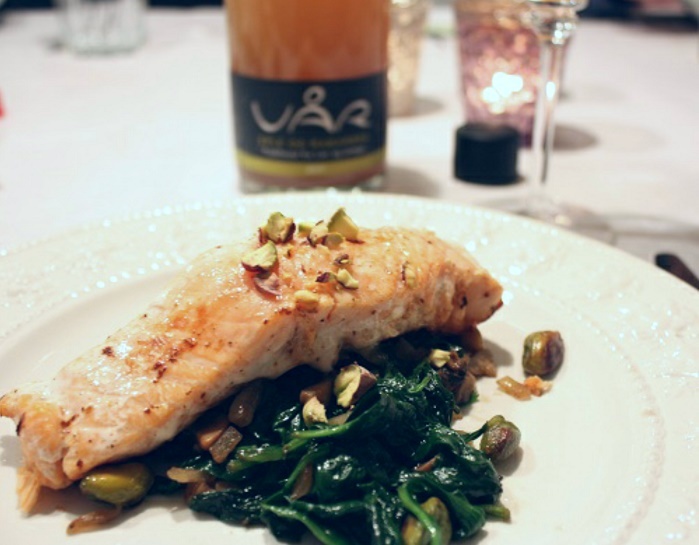 Salmon with spinach, mushrooms and pistachios, a simple dish with simple tastes, but oh so yummy. See further down for a little Asian twist. Begin by boiling potatoes or rice. 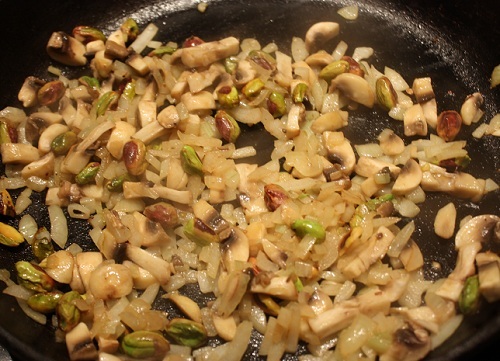 Saute the onions in half the butter and add the mushrooms and pistachios when onions are staring to sweat. 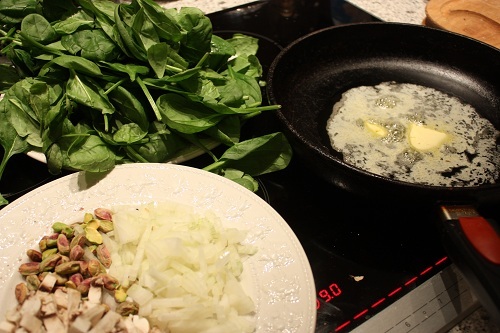 Add the rest of the butter and spinach, saute until the spinach is starting to wilt. To make it a little more Asian add 1 tablespoon grated ginger and 1-2 cloves crushed garlic with the onion and add 1-2 tablespoons oyster sauce, salts it with a little soy sauce and the pepper to taste.